Finalists Announced for Gulfstream(R) Navigator & Wallenius Wilhelmsen Logistics Orcelle(R) Awards of $100,000 Each. Winners Will Be Selected at Event November 9-11, 2016 in Savannah, GA. 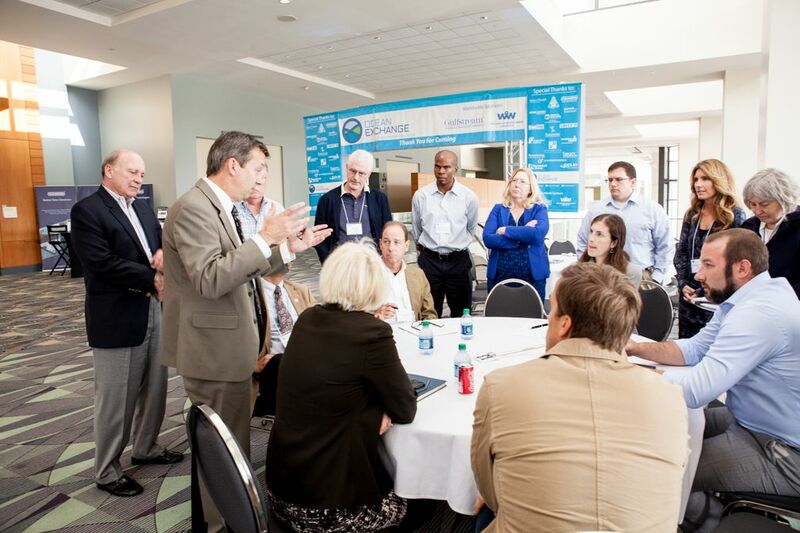 The sixth annual Ocean Exchange, held in Savannah, Georgia, will feature fifteen worldwide solutions with the ability to generate economic growth and increase productivity while reducing the use of nature's resources and the production of waste. The innovators will present the solutions and compete for one of two $100,000 awards from worldwide sponsors Gulfstream Aerospace Corp. and Wallenius Wilhelmsen Logistics (WWL). Solid-state circuit breaker technology with benefits of safety, dynamic response, control, metering & energy savings in stationary and marine applications. Carbon-sequestering lightweight hybrid composite material for structural components in land, air, and water transportation. Wave Energy Converter (WEC) for cost effective electricity generation, inspired by pumping principles of the human heart. Zero electricity reverse osmosis desalination system powered by renewable wave energy to establish new cropland using drip irrigation of desalinated water. Cost effective sludge handling system for municipal and industrial wastewater treatment plants that transforms remaining sludge into renewable, solid, bio-coal fuel. Unique safe, stable liquid hydrogen fuel, which provides a usage experience similar to current liquid fuels, allowing a smooth transition from fossil to alternative fuels. A smart, digitally connected heater, the first to use embedded microprocessors as a heat source for use in homes, public buildings, and offices. A buoy that converts seawater to drinking water without electricity, using renewable wave energy to power pumps for reverse osmosis. Photovoltaic technology to generate solar energy at lower per unit costs by increasing production using off the shelf mounting systems. A combined portable water treatment system and solar water heater for household use in the developing world for safe drinking water, cooking, and hygiene. Cost effective and reliable wave energy system to generate electric power for utility- scale grids. Cooking device that uses solar energy to help the impoverished cook without the use of biomass-based fuel, open flame, or emissions. Solar powered irrigation system for smallholder farmers in the developing world to grow high value fruits and vegetables, enabling impactful increases in family income. New hydropower technology inspired by the natural shape of a vortex, to provide smart decentralized energy production in a turnkey system with standard components. Five kilowatt turbine with scalable "active furling" technology, increasing reliability and reducing maintenance in the distributed market segment of wind energy production. Each year, the Ocean Exchange seeks innovative, proactive and globally scalable solutions with working prototypes and applications that can cross industries, economies and cultures. Twenty-three experts from around the world reviewed and selected the top fifteen solutions with the greatest ability to transform industries. • The Gulfstream® Navigator Award 2016 will be given to the solution that best demonstrates the greatest potential to Accelerate Sustainability with applicability across multiple industries generating positive impact on the environment, economics and health while respecting cultures around the world. This year the Navigator Award will focus on renewable energy. • The WWL Orcelle® Award 2016 will be given to the solution that makes shipping and logistics more sustainable by advancing zero-emission, marine and land based technologies that are commercially viable. Ocean Exchange™ accelerates the adoption of solutions that help economies, health and the environment, while respecting cultures around the world.